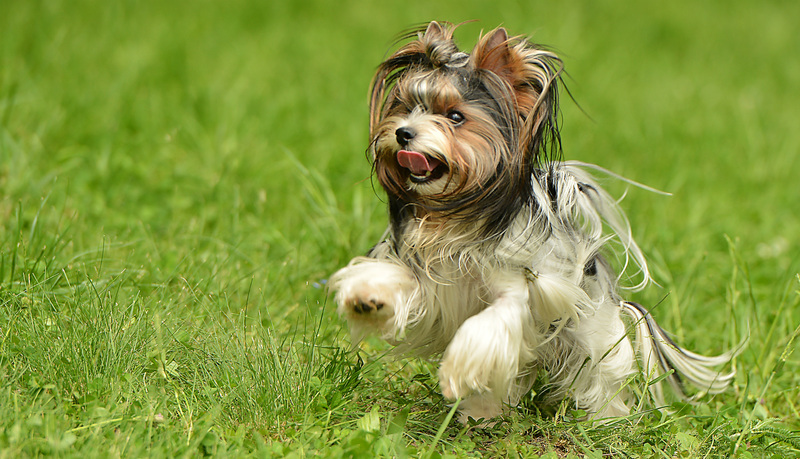 Biewers go by many names: such as Biewer Terriers, Biewer yorkshire terriers, or just Biewers. They originated from a yorkshire kennel in Germany in the 1980s. They appeared to be produced between two parents, with a lot of influence from an imported UK stud named Streamglen Richard. It is believed the tri colored patterning evolved from a potential spontaneous mutation, latent mutation, or outbreeding to another breed; Werner and Gertrud Biewer claimed that the latter was not the case. The biewer kennel continued to breed for the type they liked for 5 years before bringing in new genetics. Their dogs were highly sought after. In the 2000s, breeders in America and Germany continued to breed into German yorkshire terriers as was the practice of the Biewer kennel. This practice was ended in 2007. Biewer terriers are currently accepted as a new breed in AKC that may register as a FSS (foundation stock service) and are considered a breed in development. The adjusted IR curve for Biewers finds them to be highly inbred, close to that of a litter of full siblings’ breeding, like many breeds, when compared to village dogs. UC Davis tested Biewers from different backgrounds to see if they were genetically different from one another. While there was variation in the breed, they were found to be one breed. Based on values for all currently tested 104 Biewers, the mean number of alleles found at each locus is 6.39, which is similar to many pure breeds. The number of the alleles (Ne) that contribute the most to overall heterozygosity is 3.35, which is also in line with a number of pure breeds. This indicates a need to redistribute the alleles and the presence of a breedwide bottleneck, likely due to the Founder Effect. 16 different STR-associated DLA Class I and 13 DLA Class II haplotypes among the 104 Biewer dogs tested. This is a small range compared to some breeds but greater than others. The comparatively low number of DLA class I and II haplotypes in the Biewer dogs tested is an indication that the breed has evolved from a relatively small founder population, or that many of the original founders have been lost from the population over time. Breed for lower than 0 IR and for rarer genetics, which is done by lower AGR and higher OI. Ideally Biewer varieties would interbreed to take advantage of the diversity within the different varieties and maintain it while working on the type and breed features desired.